We believe in the McDonald’s System. The new CEO is Donald Thompson he was elected the new CEO after Jim Skinner retired. 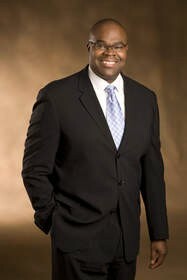 Don Thompson is also the president of McDonald's. A cashier will be making $7.25-7.76 an hour depending on where the McDonald's is located and they need a high school diploma or GED unless they are still in high school. Must have at least one year of cashier and cash handling experience, and be comfortable handling and counting his or her own cash drawer. 1. Provide perfect customer service which satisfies customer’s requirement. 2. Pack, weigh or label product when needed. 3. Fulfill the counter and make the refrigerators tidy and accurate according to per pricing menu. 4. Make sure that all the foods are eye-catching and they must be conformed to the quality standards. 5. Make sure that food is kept and displayed in the suitable temperature according to Department of Health standards. 6. Prepare food carefully, exactly and in timely manner as assigned. 7. Make sure that food is prepared, decorated, and served with cleanliness, safety and complied with hygienic regulations. 8. Clean counters and equipment and keep them from rubbish. 9. Make sure that all equipment are clean and tidy as required. 10. Tidy and clean the floor and service place and keep them far from garbage. 11. Keep workplace clean before changing to another duties or finishing shift. 12. Pack or decorate food carefully according to department standards. 13. Inform BOH or management instantly if food quantities or supplies are not enough. 14. Comply with all policies, quality standards, procedures and expectations of the company and departments. 15. Implement cashier tasks at the counter. 16. Divide or cut food if guest requires. 1,864 McDonald's salary reports. A free inside look at McDonald's salaries and benefits posted anonymously by employees.